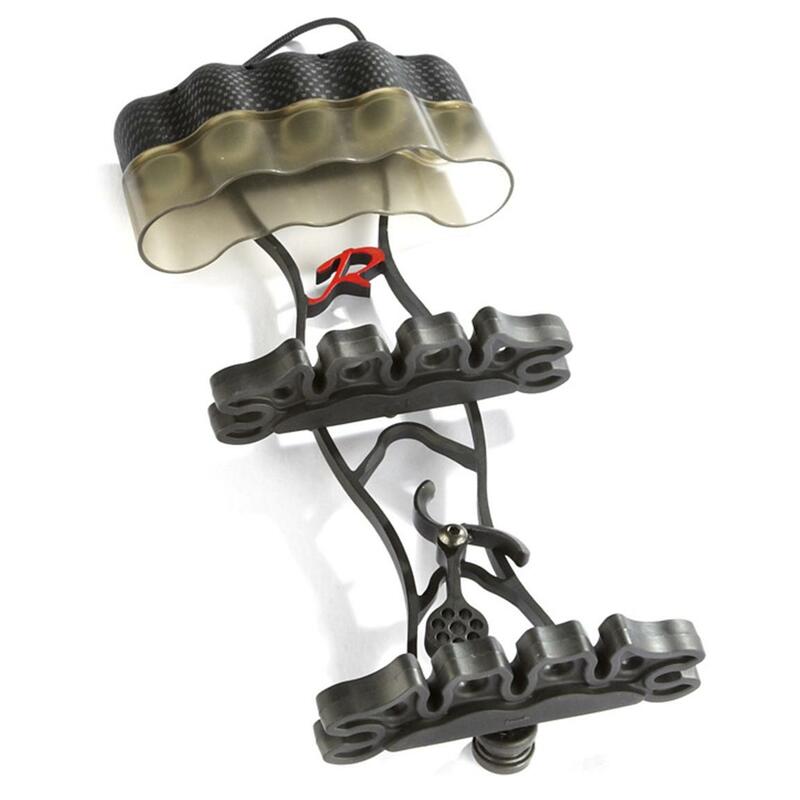 Rage® CageTM Ultra-light Quiver weighs just 8 ozs.! Good vibrations? No such thing when you're bow or crossbow hunting. Luckily, the Rage® CageTM Ultra-light Quiver features a built-in vibration dampener to keep it hush-hush. Cam-Lock height-adjustable arrow retainers for varied arrow lengths.